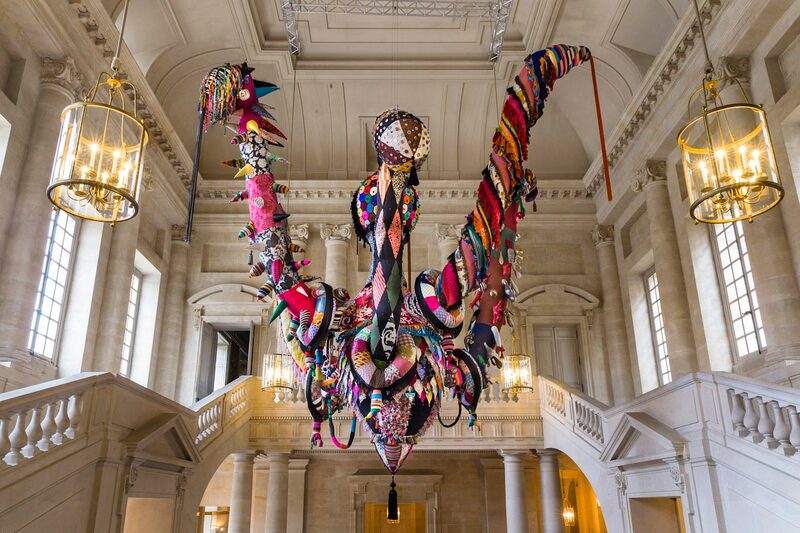 Have you seen glimpses of the surreal exhibition of crocheted figures that have taken over the Palace of Versailles? They manage to look delightfully out of place and blend in with the interior at the same time. If I were anywhere near Versailles (or Europe, for that matter) I would have loved to make a day of it. The figure above is called Mary Poppins and it is the work of Joana Vasconcelos. You can find this and more photos and information here. This is amazing! Love any kind of textile art. And especially when it's so bold.